THE search has begun to find a buyer to mine the largest undeveloped gypsum deposit in South Australia. Minotaur Exploration Ltd has published its Maiden Inferred Resource (JORC 2012) for Lake Purdilla as a first step towards divesting the asset on South Australia’s western Eyre Peninsula, about 460km west-northwest of the state’s capital, Adelaide. 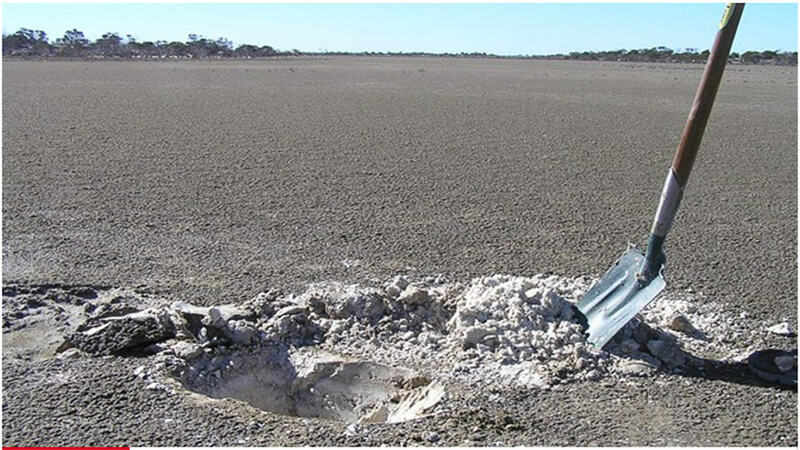 Minotaur Managing Director Andrew Woskett said the potential mining site had about 87 million tonnes at 91 per cent gypsum, giving it a lifespan of more than half a century at a rate of a million tonnes of gypsum a year. “The size is good and the quality is excellent,” he said. South Australia produces about 4 million tonnes of gypsum per year, accounting for about 80 per cent of Australia’s production and supplying most of the country’s domestic requirements. It is used extensively in the construction industry for the production of plasterboard and cement. “The gypsum at Lake Purdilla is suitable for all these purposes,” Woskett said. The Lake Purdilla site is about 130km from an existing bulk handling port at Ceduna. Woskett said the site was also immediately adjacent to a potential bulk handling port development site, which the company would work with the new owner to progress. “The fact that it is right next to the coast and there is a deep water port option at that point should make it quite attractive to gypsum consumers and plasterboard manufacturers,” Woskett said. “The market in Asia is expanding at a huge rate as you might expect, but they don’t have their own good quality deposits of gypsum because you need a dry environment.